Providing you the best range of tp110 precision color measurement instrument, tp310 portable color measurement instrument, colour matching cabinet- euro and color matching cabinet - usa with effective & timely delivery. 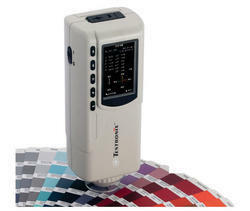 Precision Color Matching TP110 is a consistent tool useful for portable and high quality color measurement. It works with color sensor with multiple channels according to international standards. Color Matching TP110 complies with various CIE Standards. 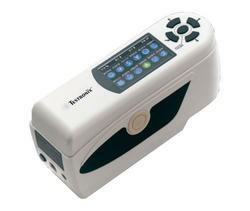 Precision Color Matching TP310 is a consistent tool useful for portable and high quality color measurement. It works with color sensor with multiple channels according to international standards. Color Matching TP310 complies with various CIE Standards. 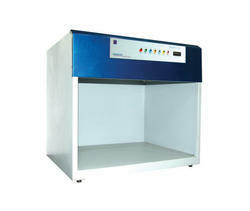 Color Matching Cabinet Spectrum EURO is a consistent tool useful for visual assessment and evaluation of colors. Used in various industries and laboratories to maintain quality and color consistency of a sample to detect the phenomenon of metamerism. 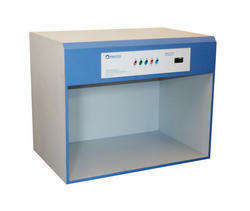 Color Matching Cabinet Spectrum USA is a consistent tool useful for visual assessment and evaluation of colors. Used in various industries and laboratories to maintain quality and color consistency of a sample to detect the phenomenon of metamerism. Fitted with Electronic Choke for Instant Illumination. Easy to manage; fitted with individual switches for each light source. Looking for Colour Measurement Instruments ?